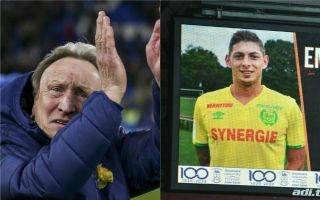 Cardiff City chiefs reportedly fear that manager Neil Warnock could quit the club following the disappearance of striker Emiliano Sala ahead of a transfer from Nantes. The Argentine’s story is one of the most tragic in recent times in football, with the player’s flight going missing over the Channel recently. Wreckage of the plane has since been discovered, though authorities are yet to confirm anything else from their findings. According to the Sun, there is now the feeling that this strain on manager Warnock could lead to him quitting Cardiff. This would of course be a big blow for the Welsh club, but some things are more important than football and this sad story would undoubtedly have hit Warnock hard after his involvement in the Sala deal.